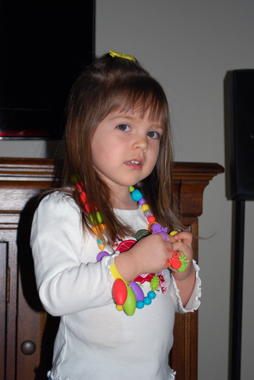 When we were in Utah, Isabel and her cousin Bryndee played with Pop-it beads that Bryndee has and Isabel enjoyed them. So after returning home, I kept my eyes open for them and we finally found them! We have been making all kinds of jewelry creations since! Isabel showing off some of our creations. 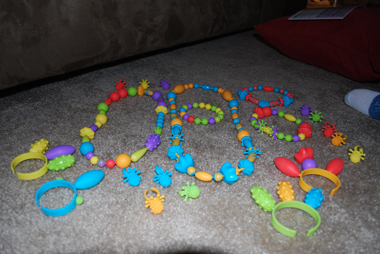 All the jewelry we made this day…rings, bracelets, and necklaces. she plays with them almost every day!